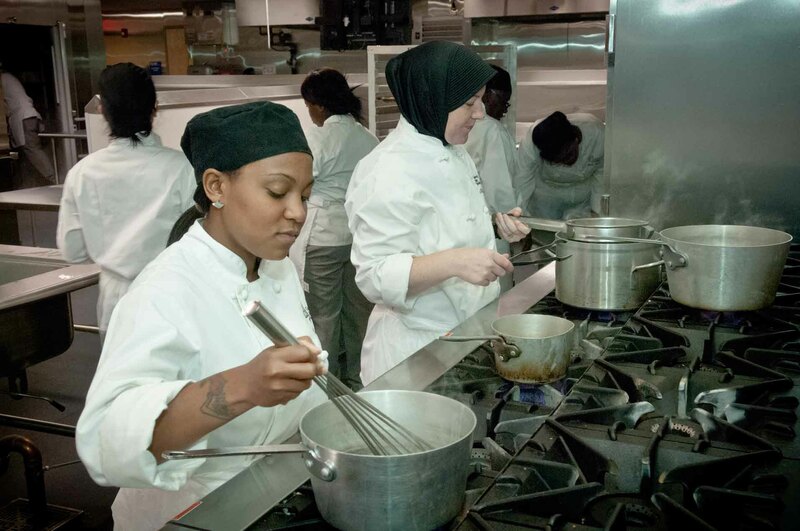 Our American Culinary Federation qualified faculty chefs will assist students in securing and supervising the required employment for students interested in pursuing Apprenticeship status. 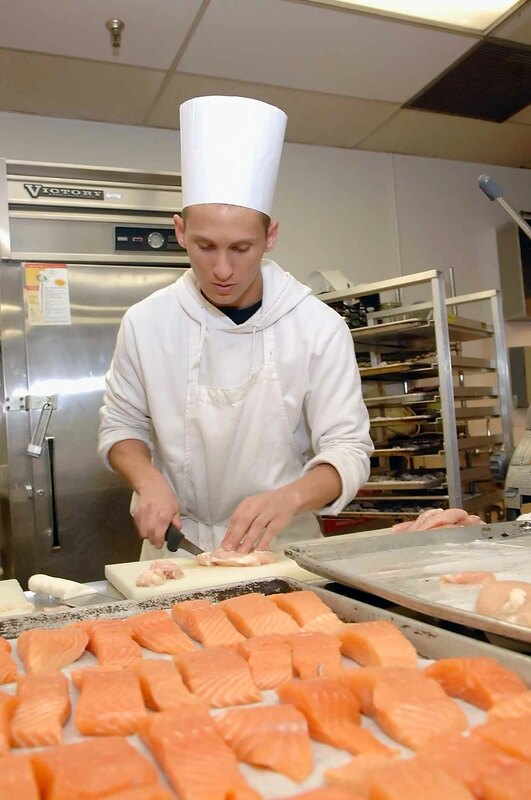 Our Culinary Arts program will teach you food preparation skills and how to navigate the food service industry landscape. 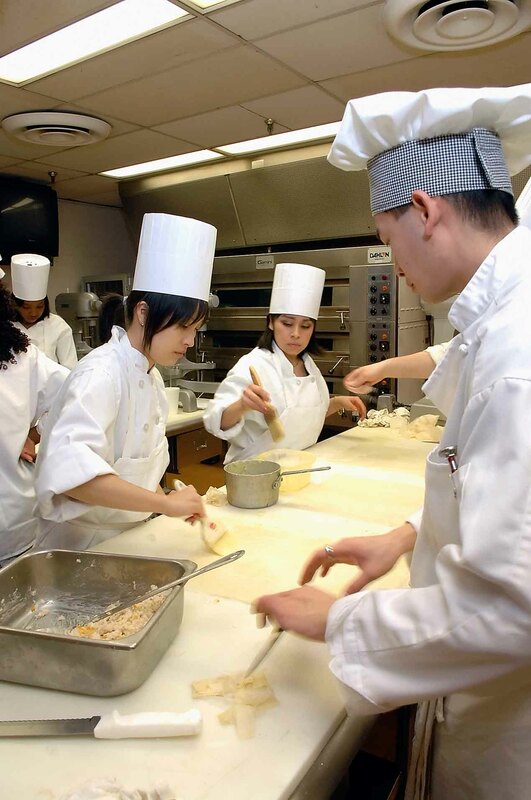 Through 400 hours of work experience, you will learn about small and large food preparation, sanitation, food safety, nutrition and supervision in the hospitality industry, and how to make educated, lawful, ethical and productive decisions in supervisory positions related to food service. 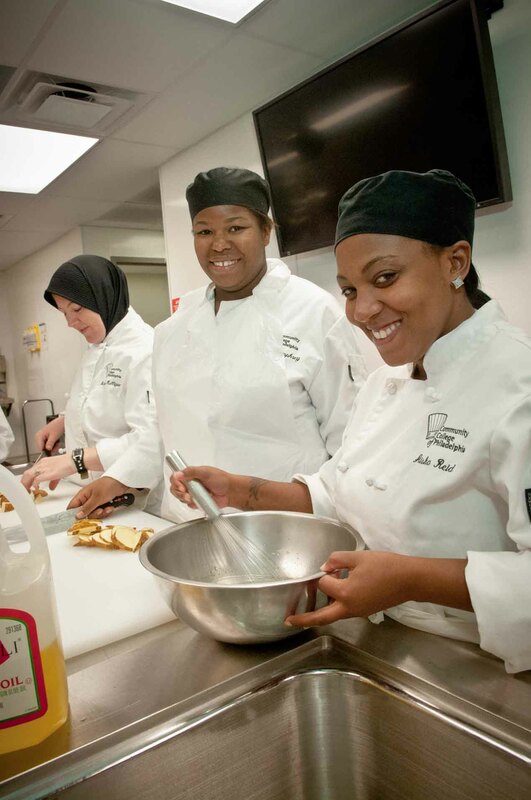 Our program will also provide you access to experienced faculty, state-of-the-art culinary kitchens and classrooms, job search and placement assistance, and the potential to receive credit for work experience. 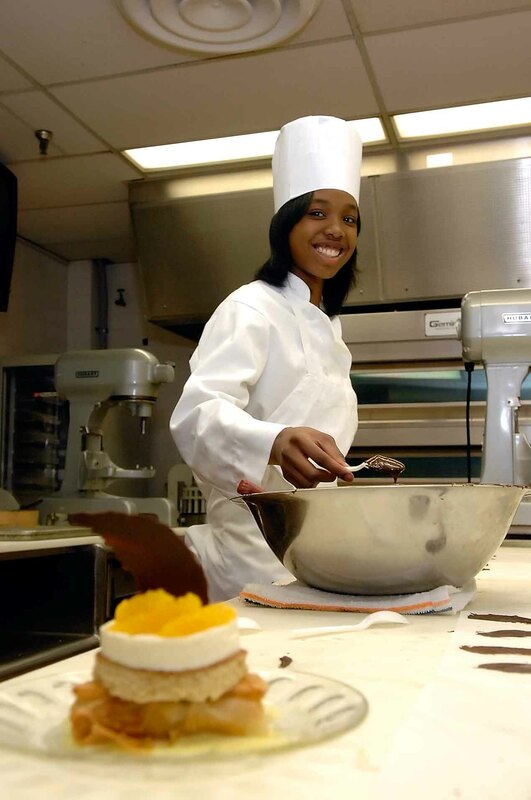 You can also pursue apprenticeship status; an American Culinary Federation (ACF)-qualified Culinary Arts faculty chef will assist you with securing and supervising the required employment. 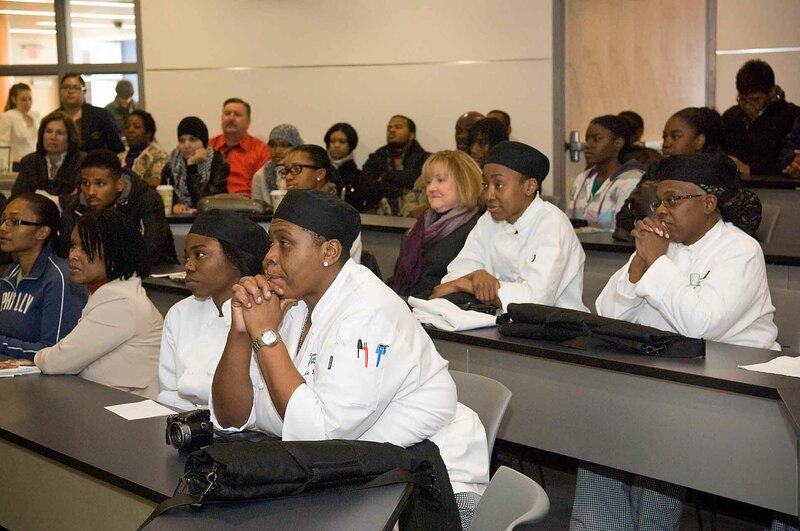 The following courses and sequence of courses is designed for the optimal success and completion of the Culinary Arts degree/certificate. Any alterations should be discussed with your academic advisor. To qualify for the Associate in Applied Science (A.A.S.) 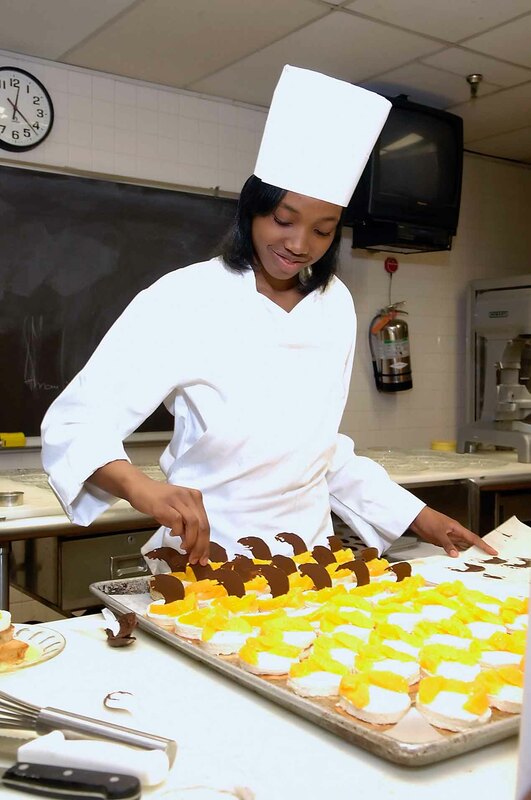 degree in Culinary Arts, students must complete a minimum of 65 credit hours as described and attain a grade point average of 2.0 or better. Completing this sequence of classes will help you to graduate and transfer credits to a four-year school. 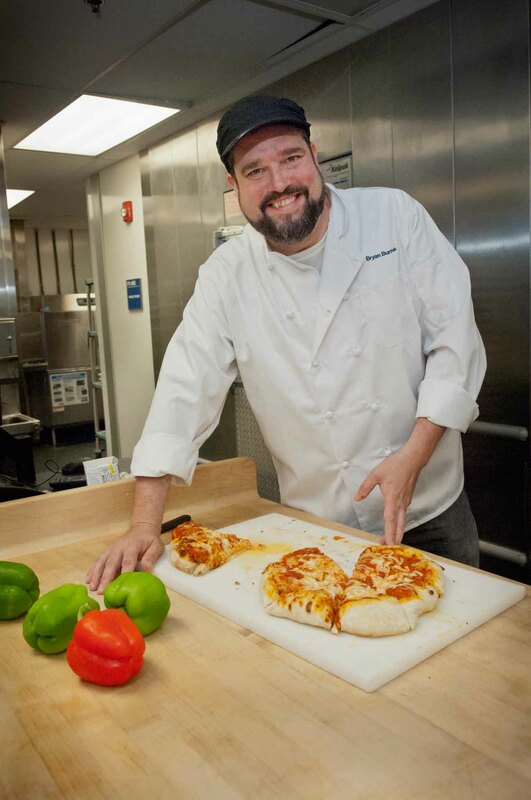 Please see a Culinary Arts advisor for help. * Students who plan to transfer to four-year institutions should choose their science elective based on the science requirements of their intended transfer institution. 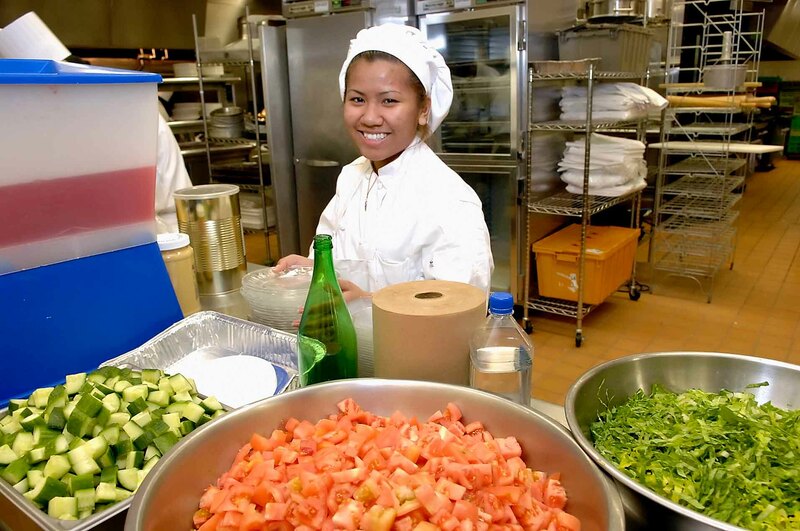 New workers generally start around $31,811. 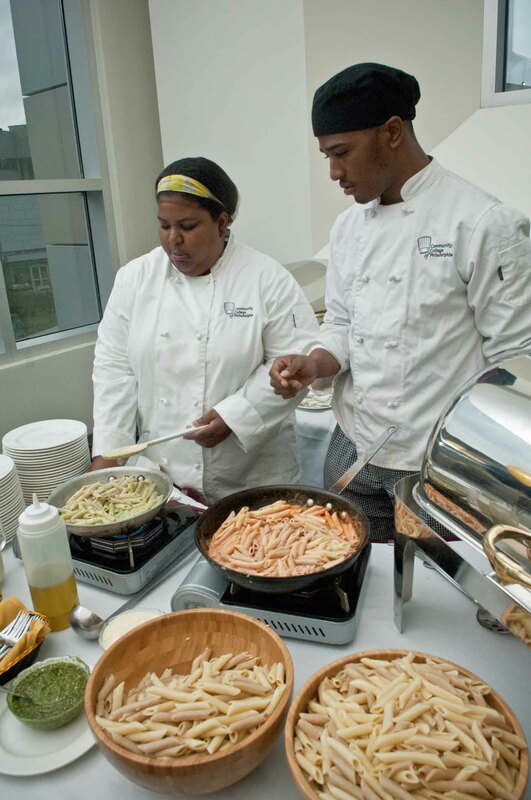 Normal pay for Food Service Managers is $48,226 per year, while highly experienced workers can earn as much as $74,094.